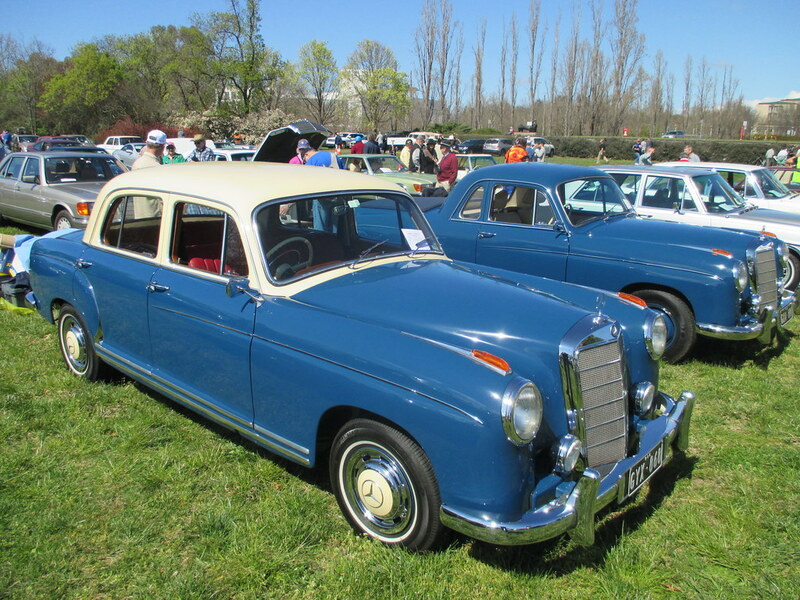 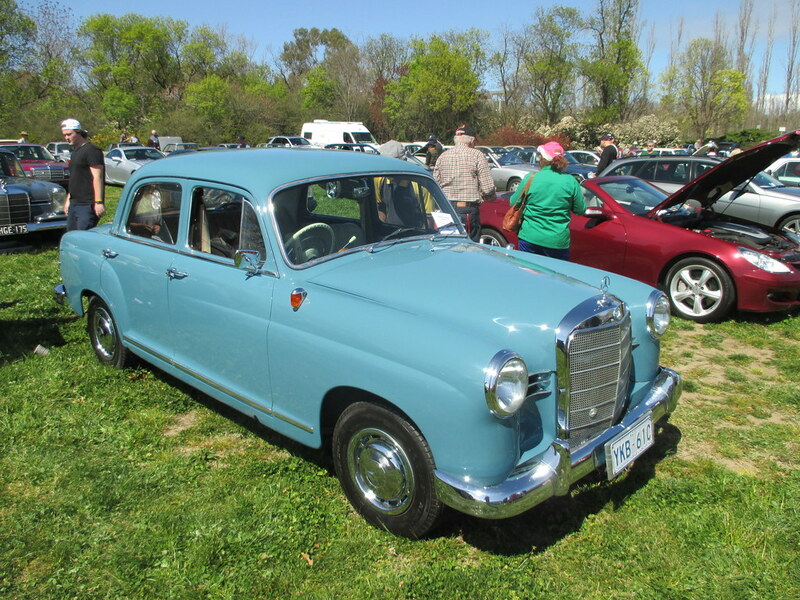 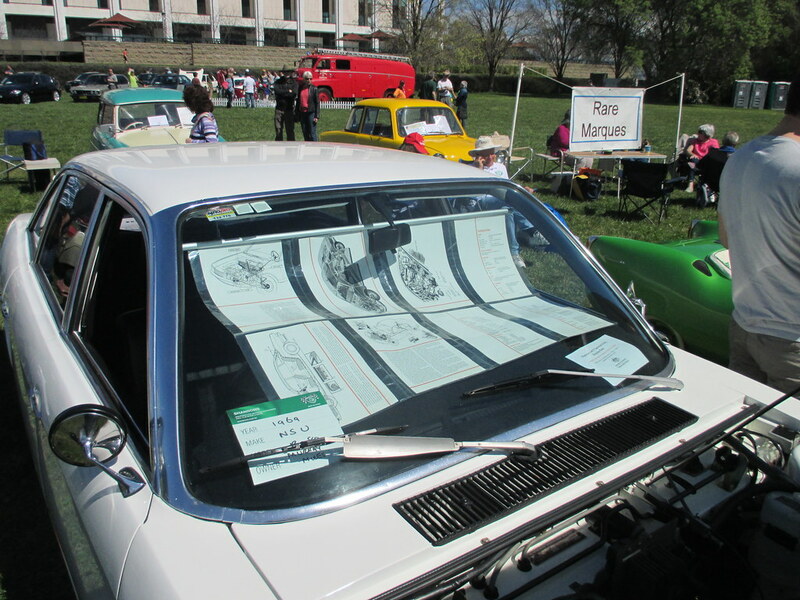 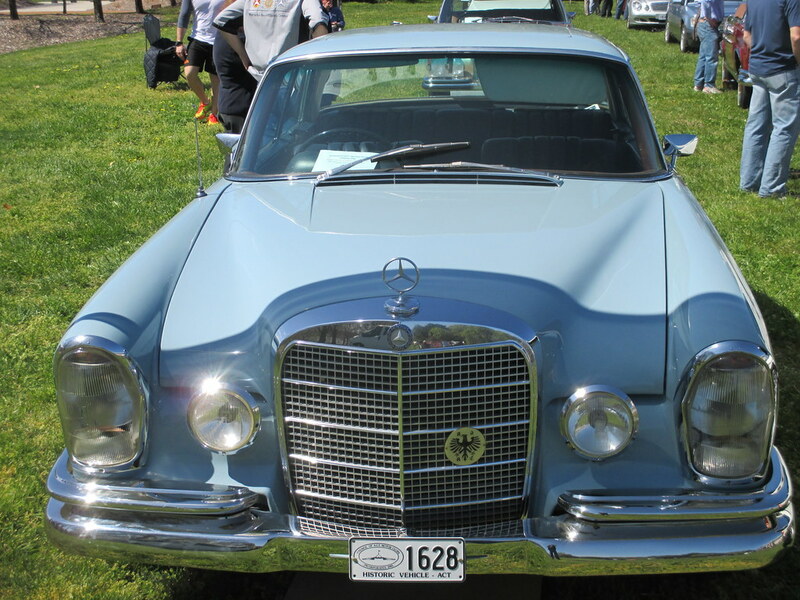 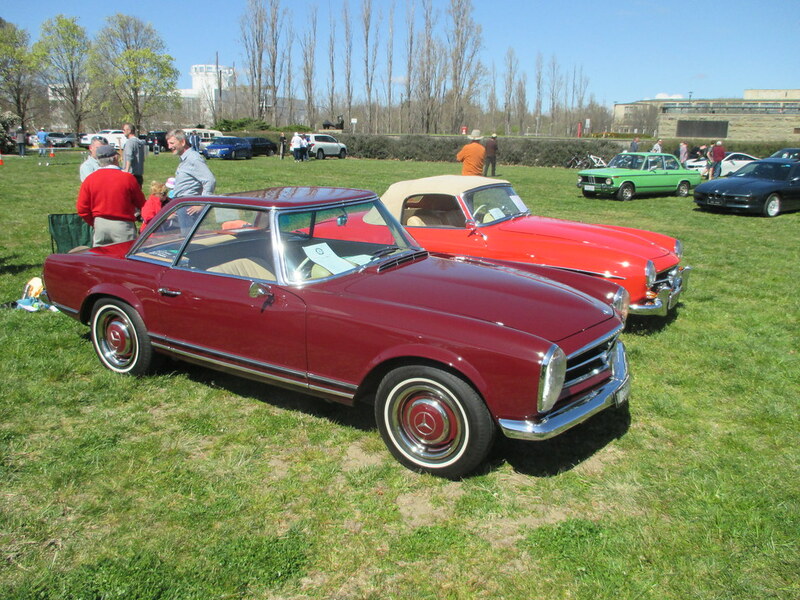 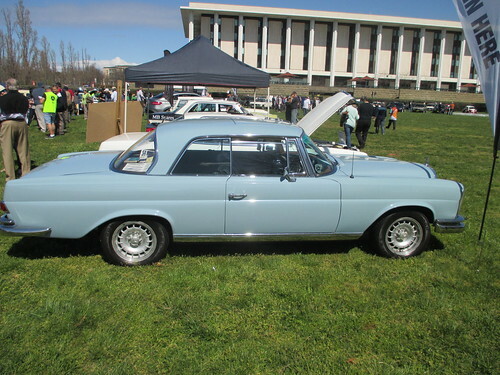 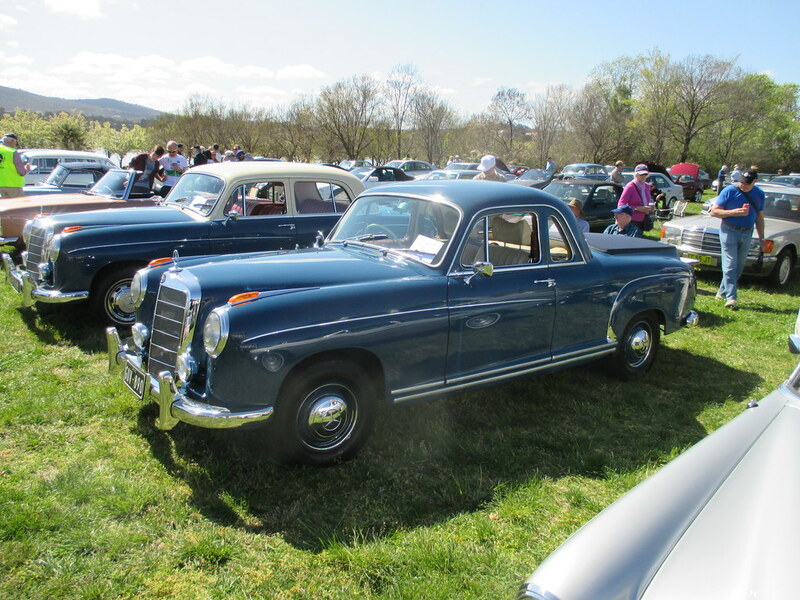 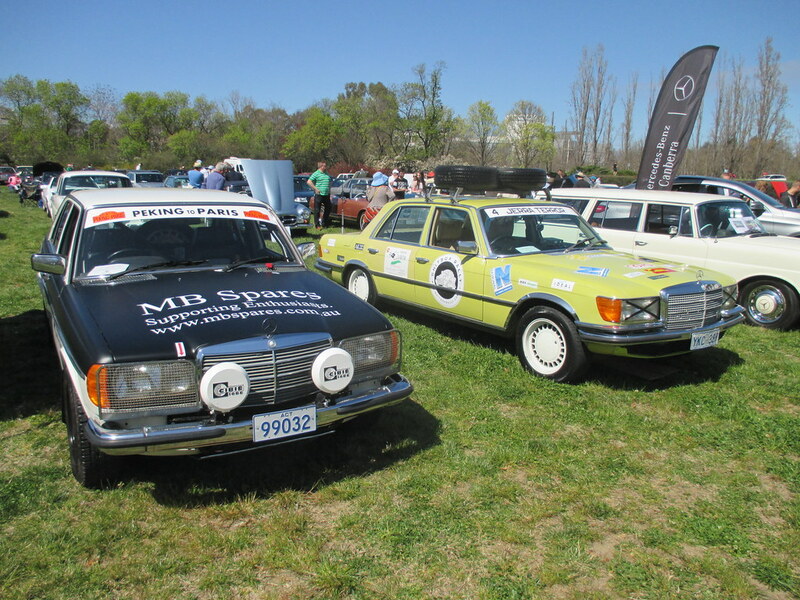 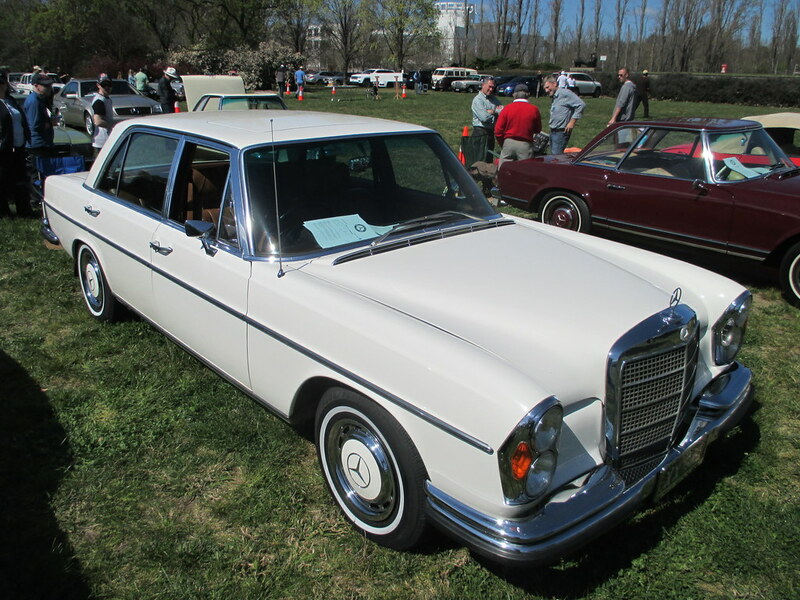 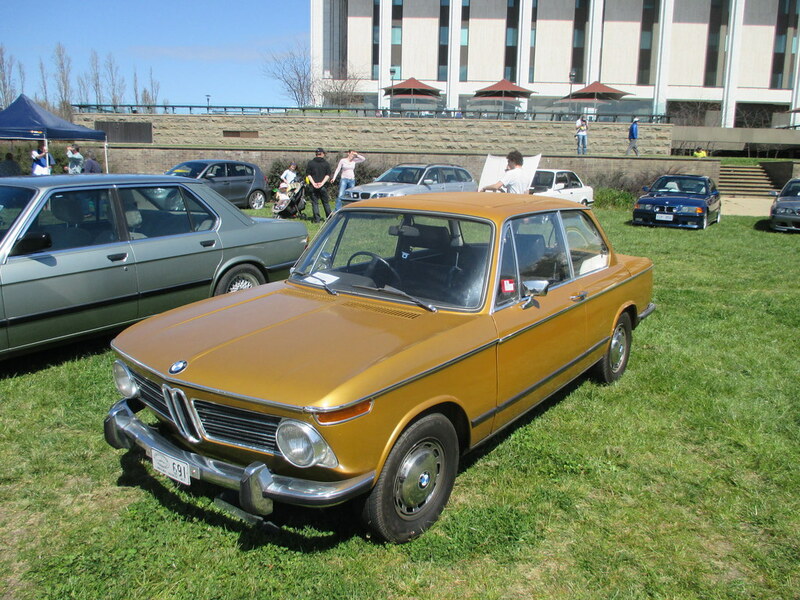 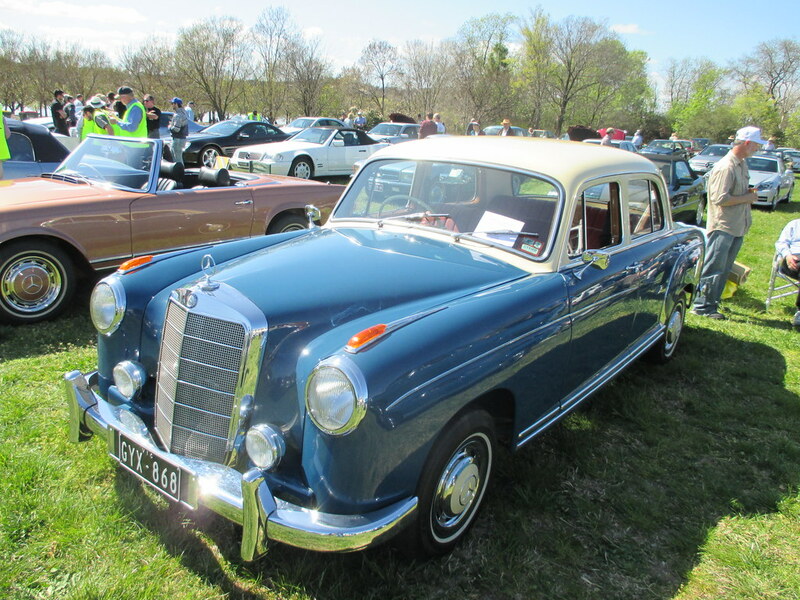 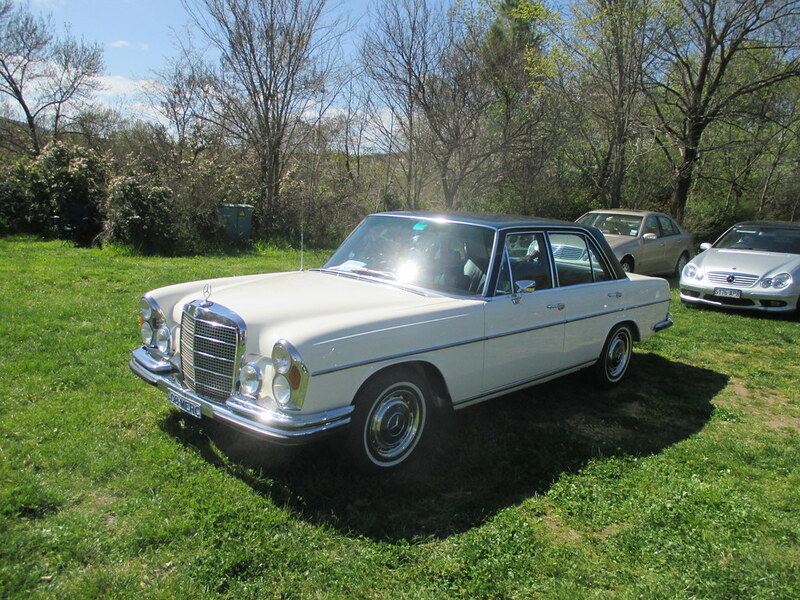 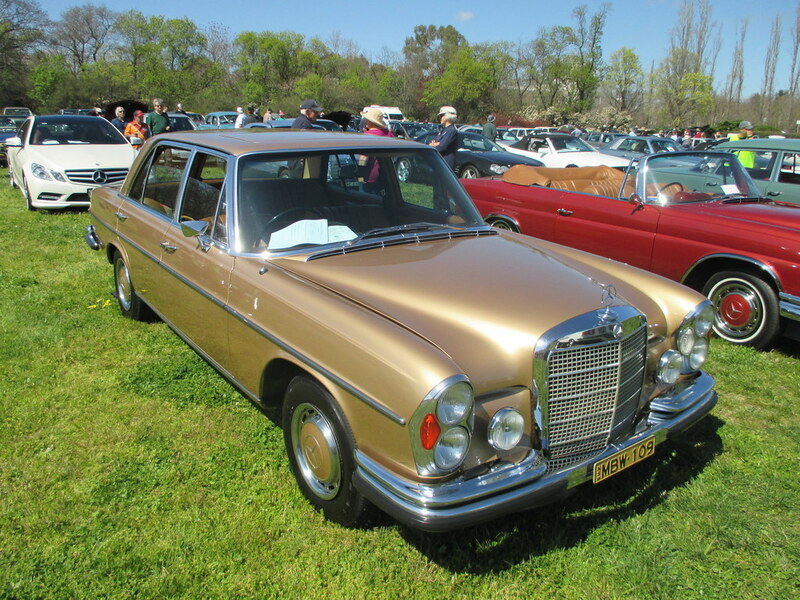 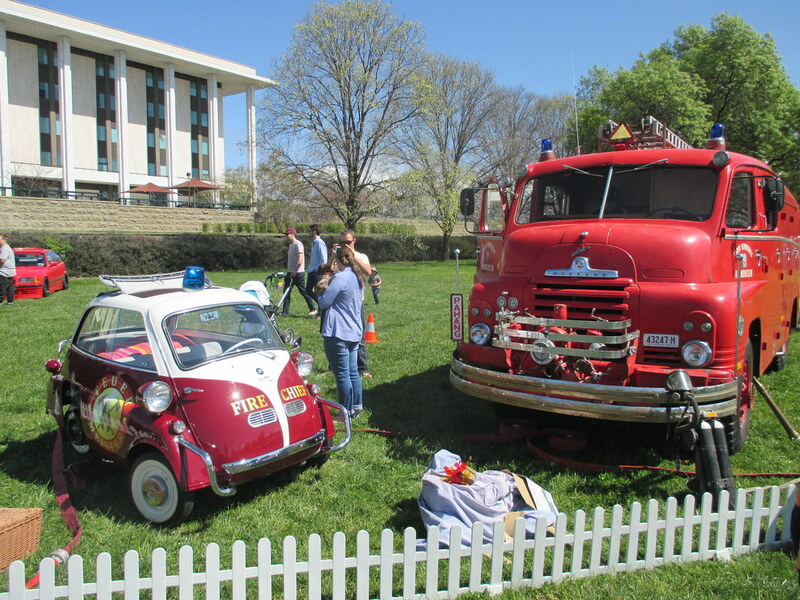 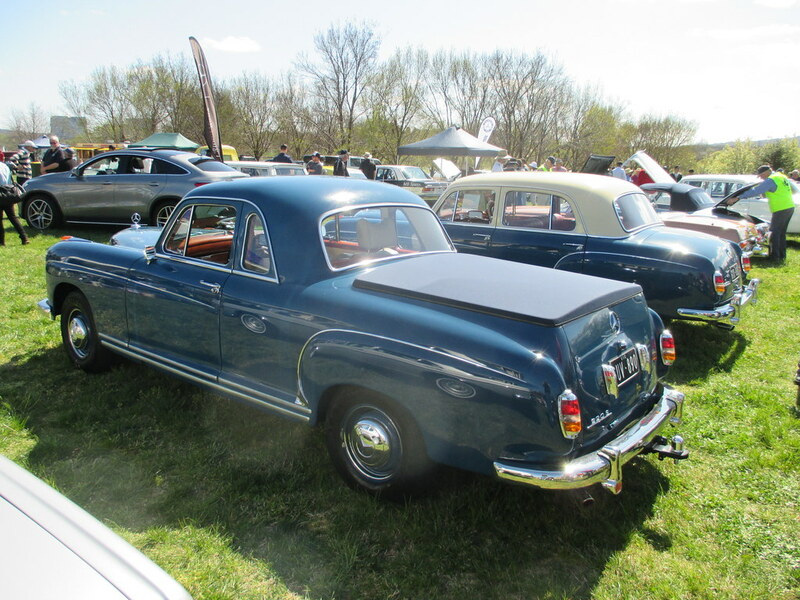 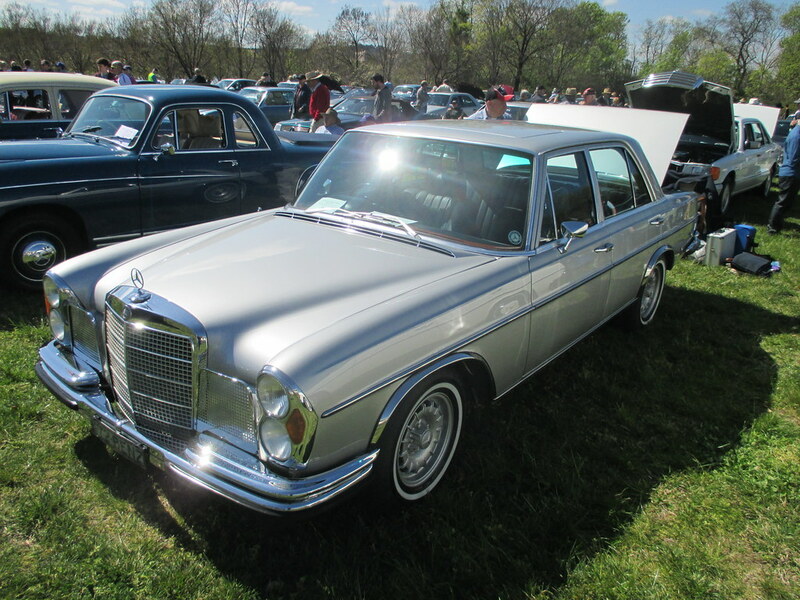 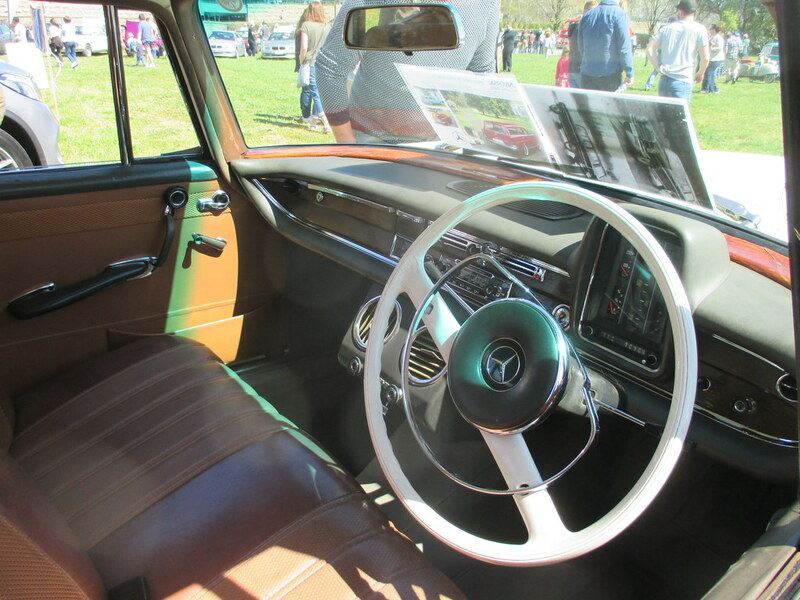 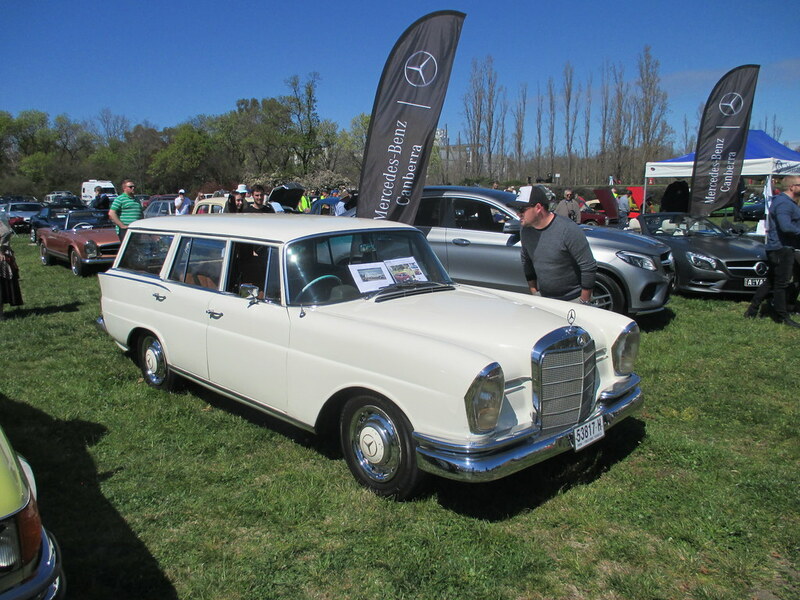 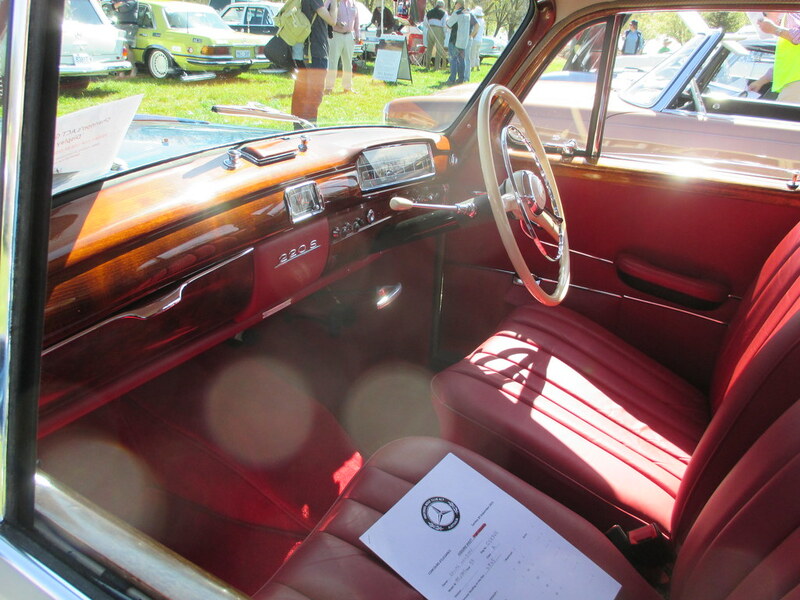 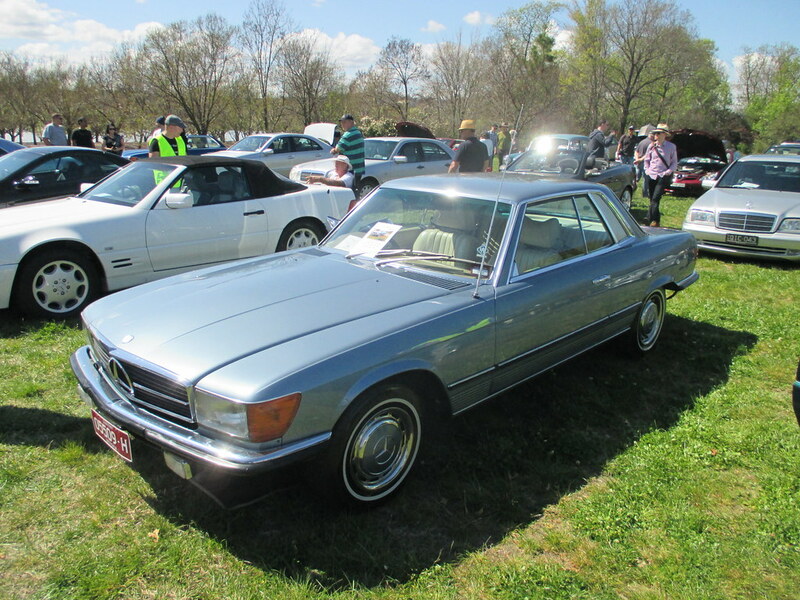 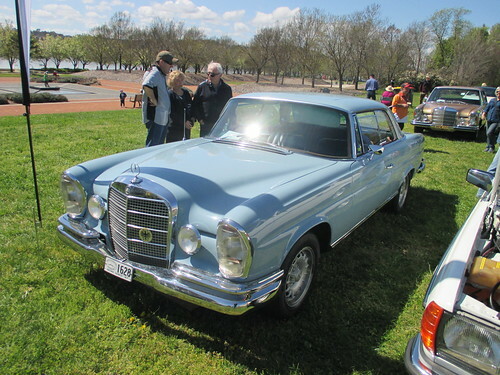 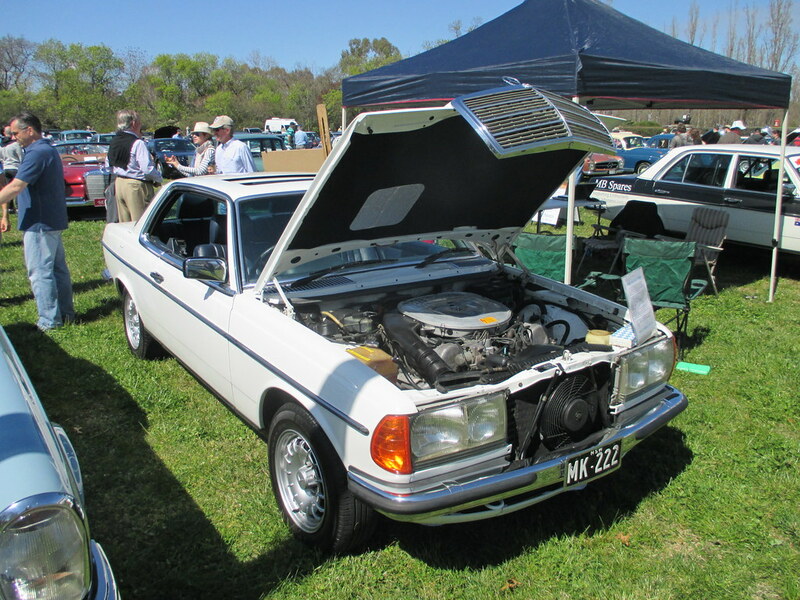 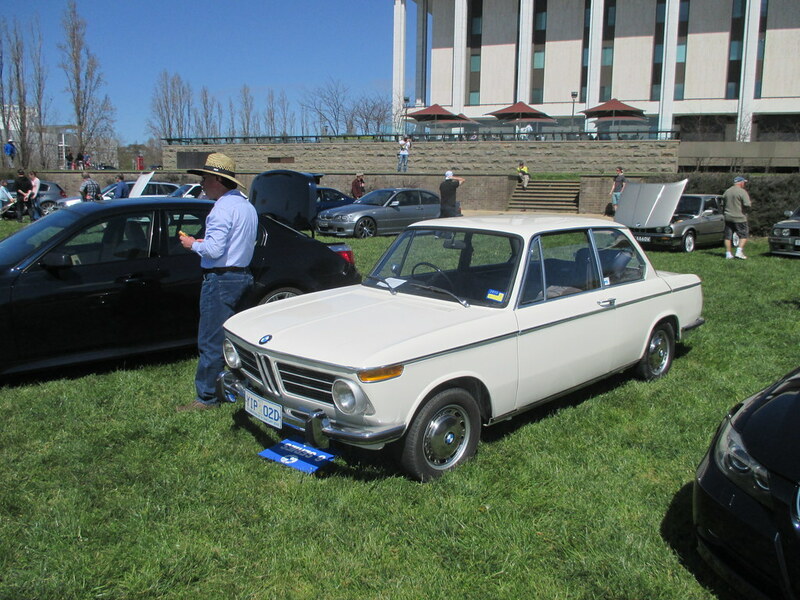 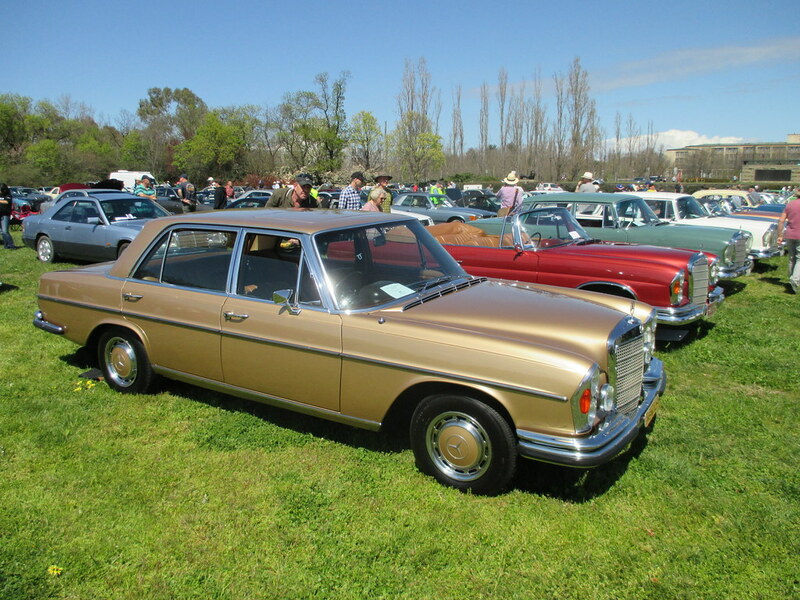 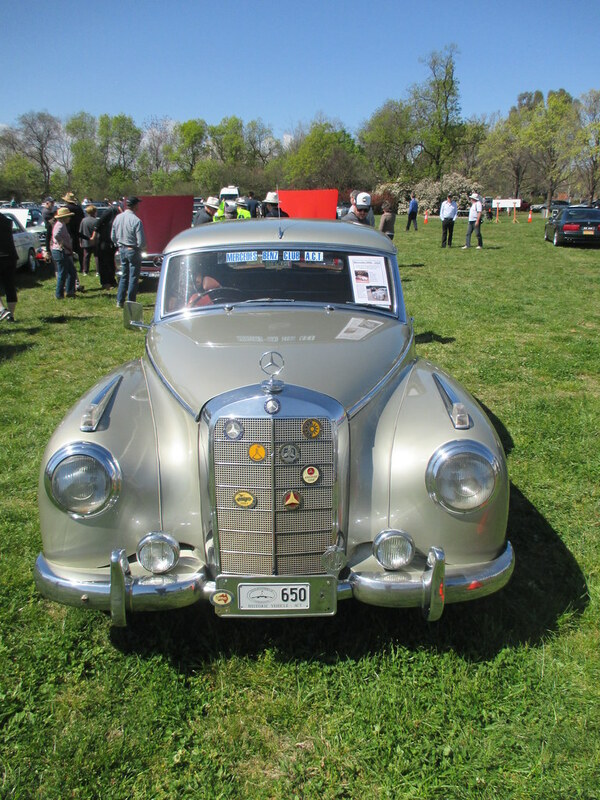 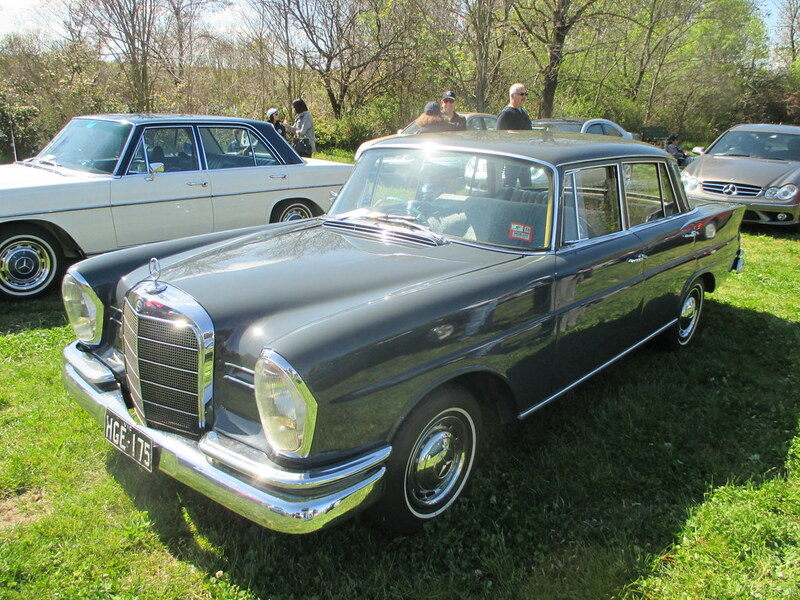 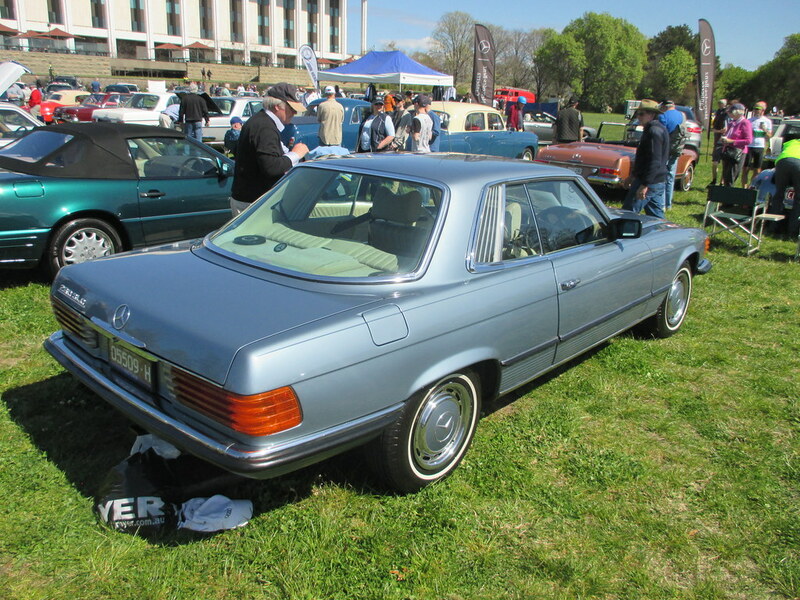 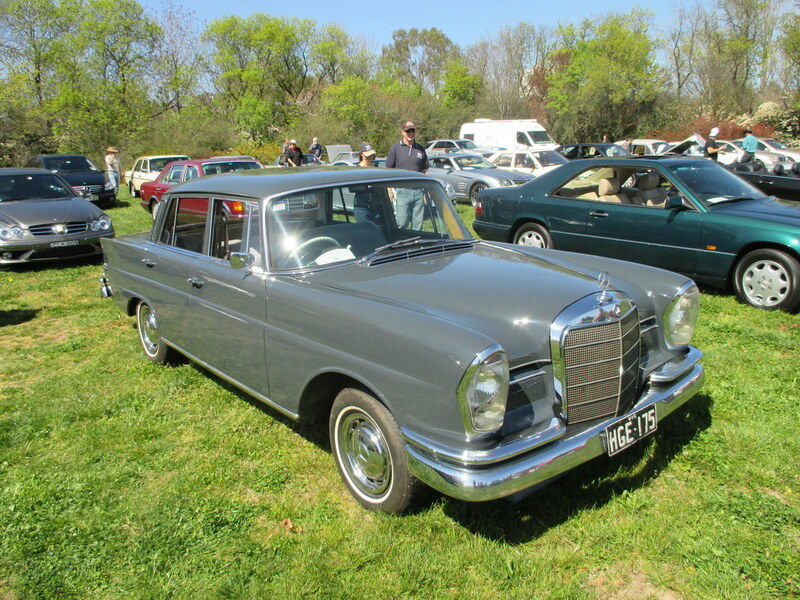 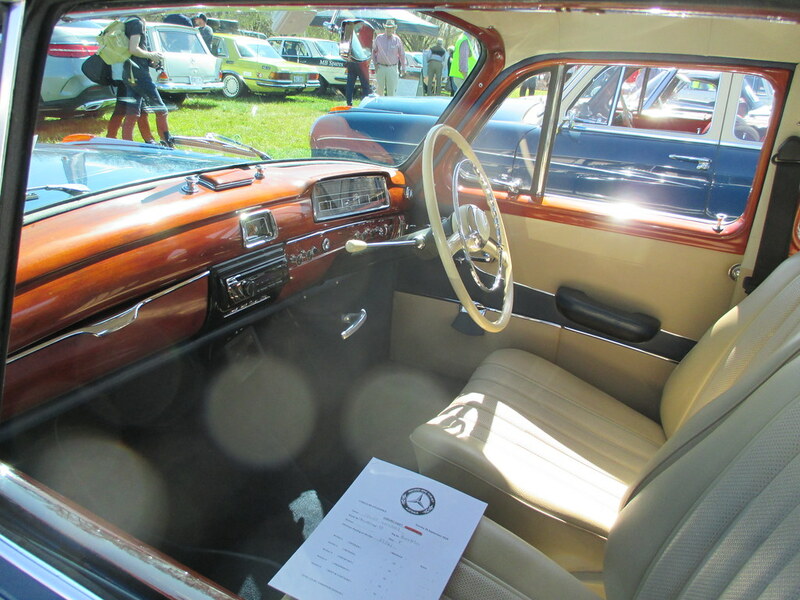 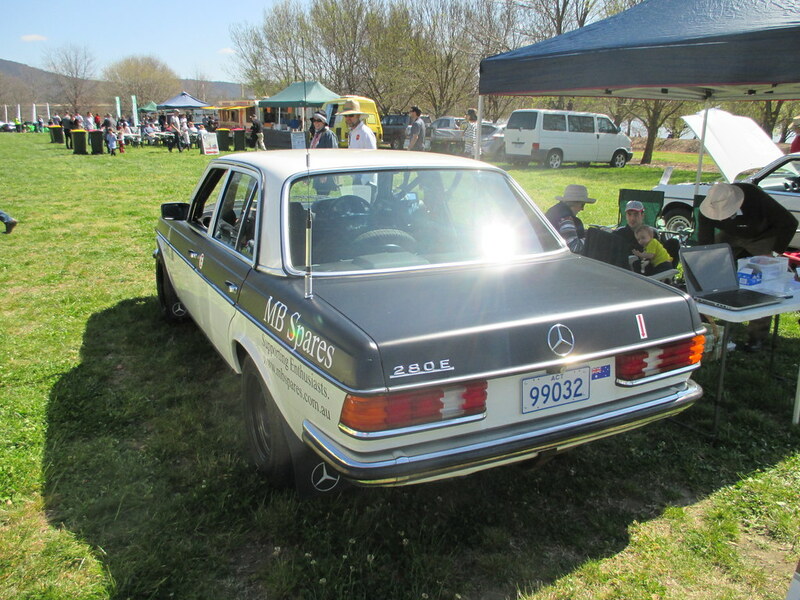 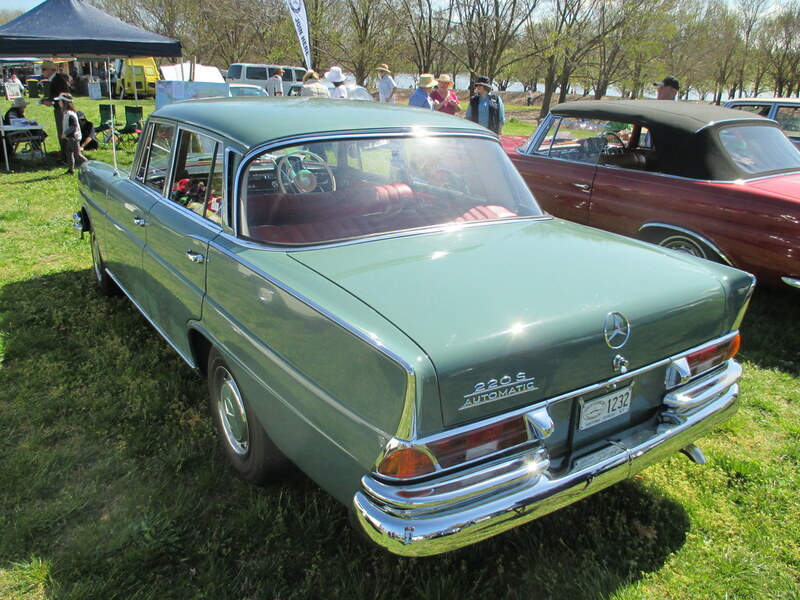 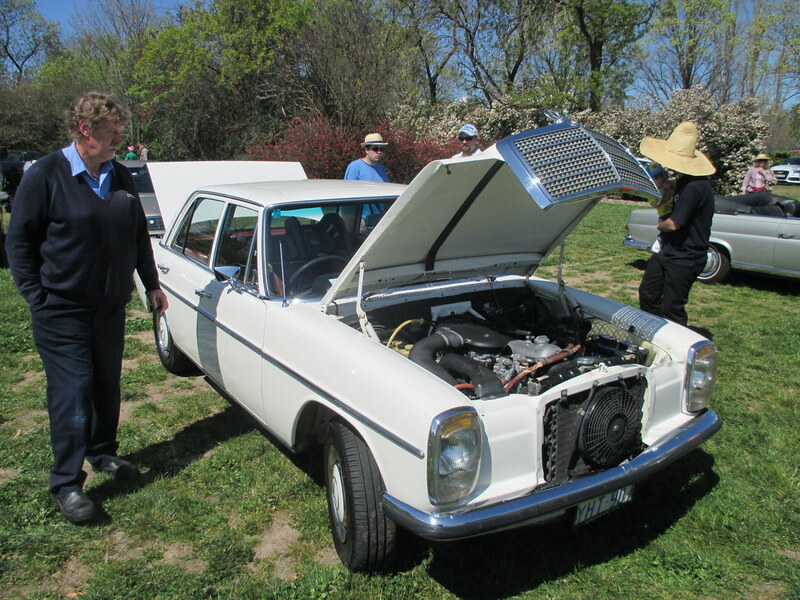 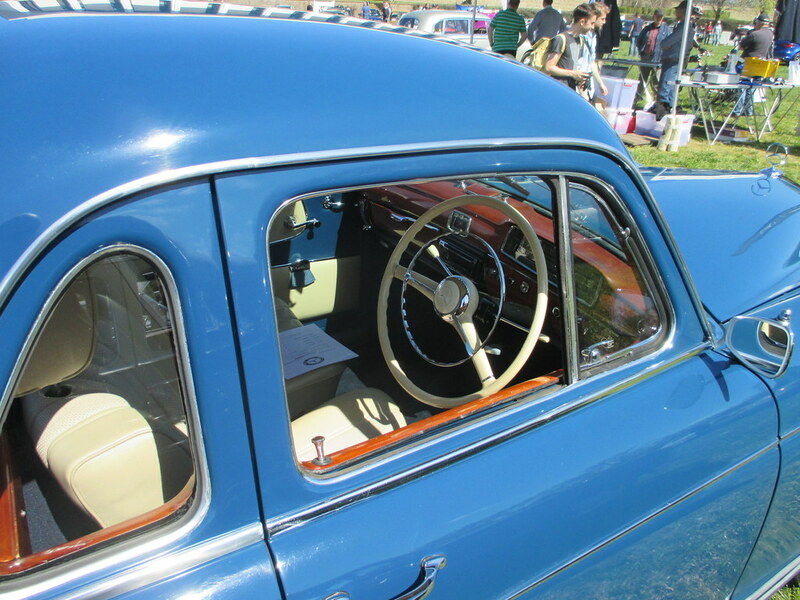 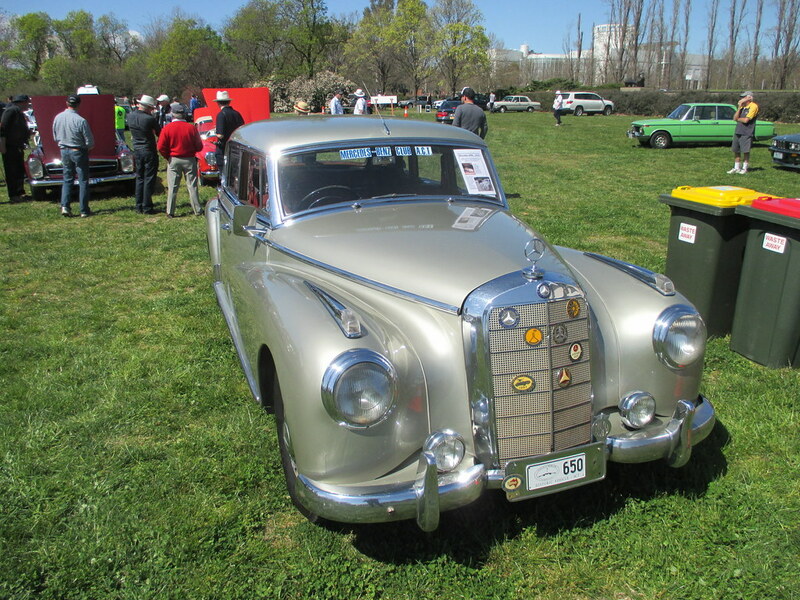 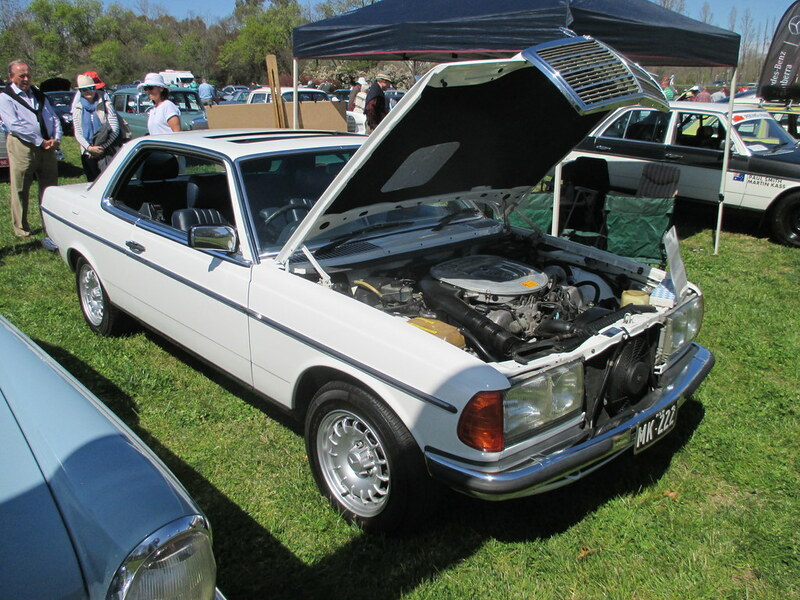 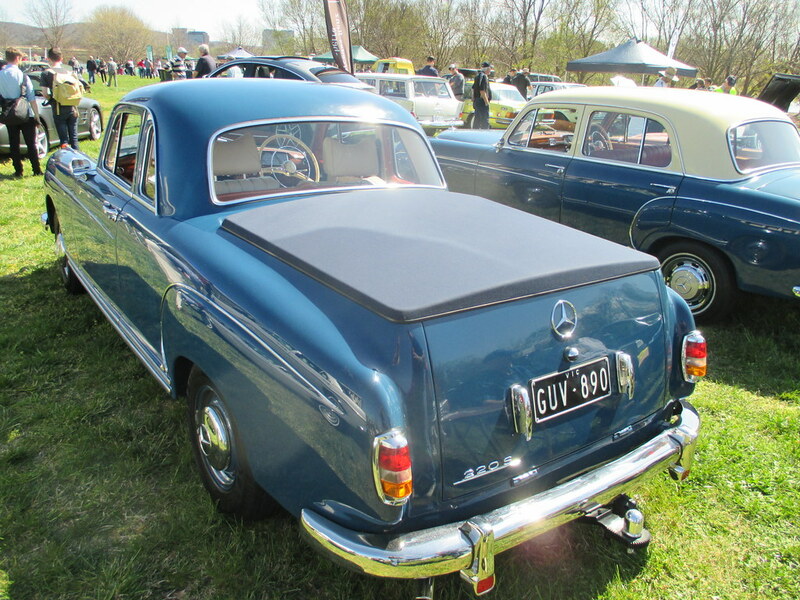 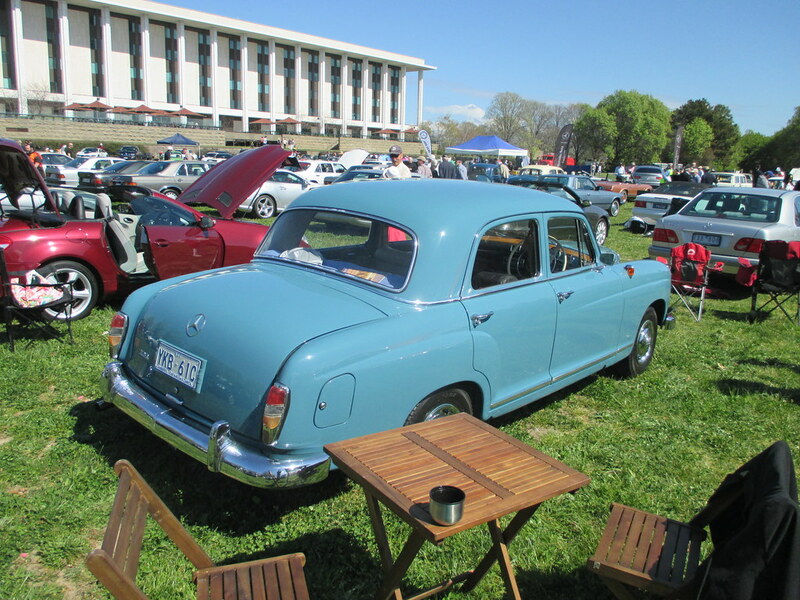 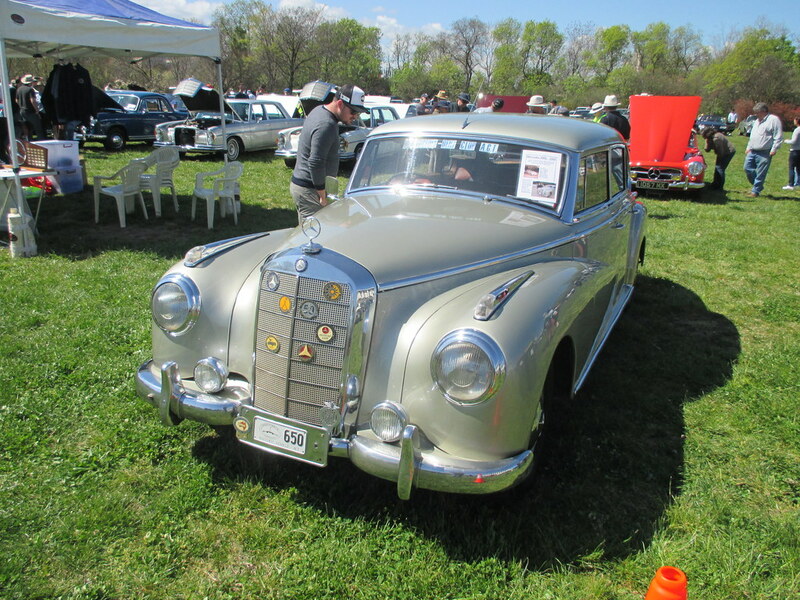 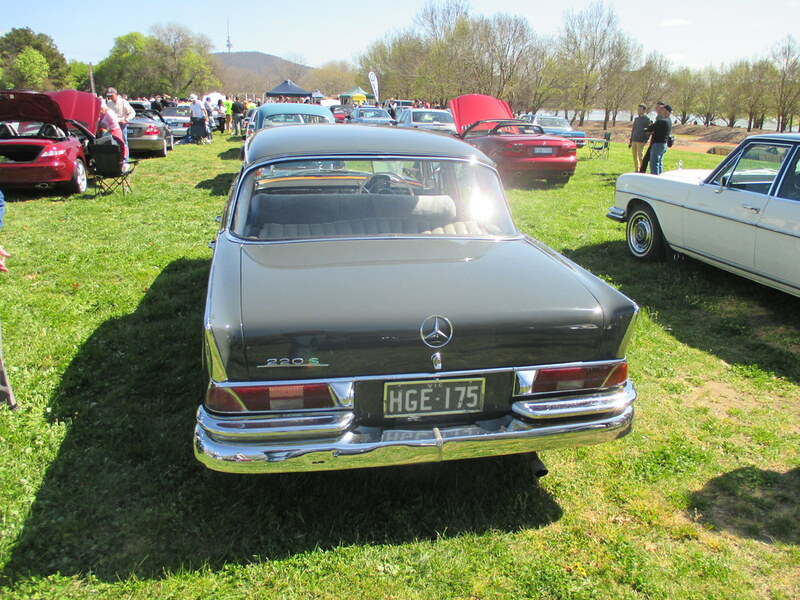 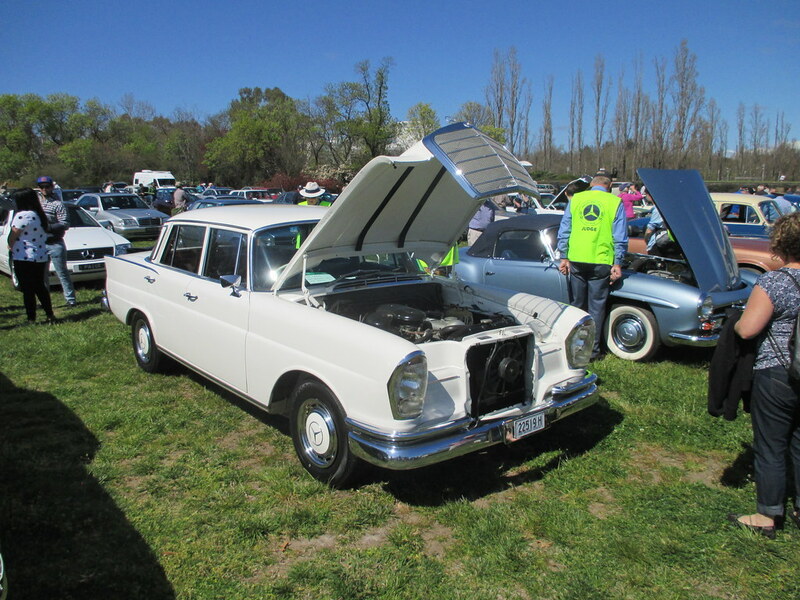 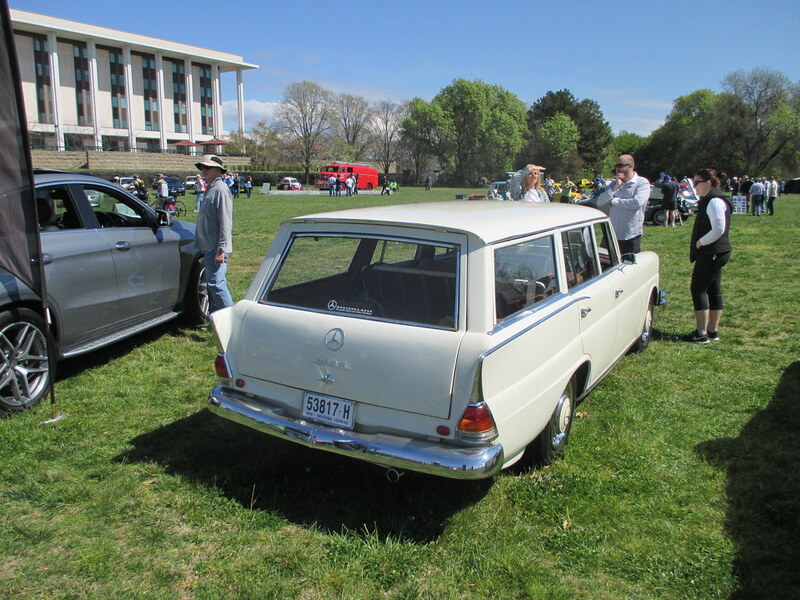 This year I took the 250SE down to the 2015 ACT German Car show, which I last attended in 2013. 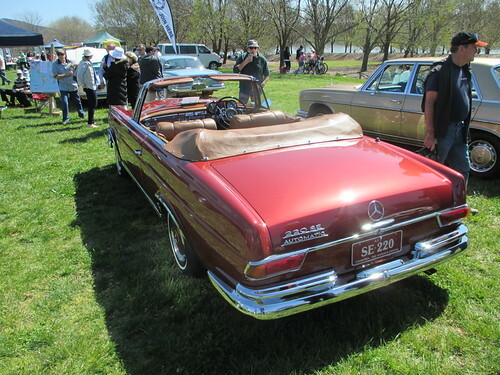 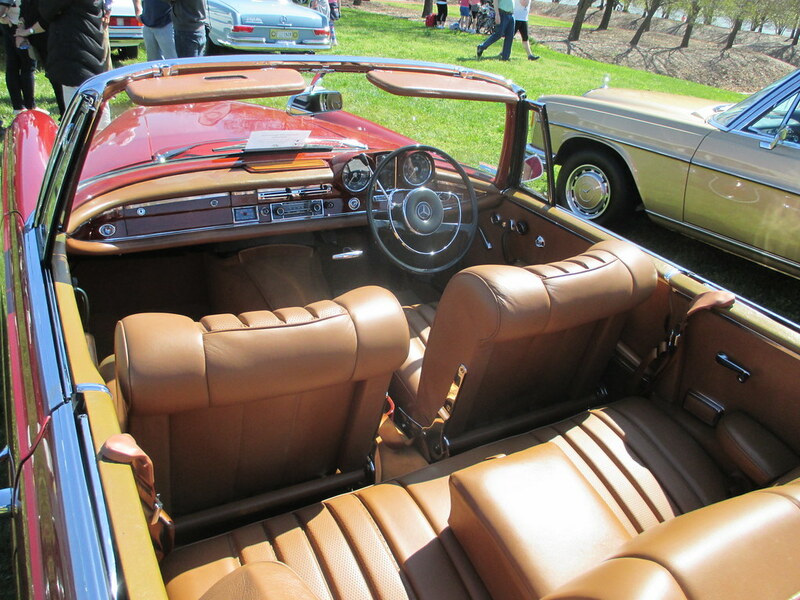 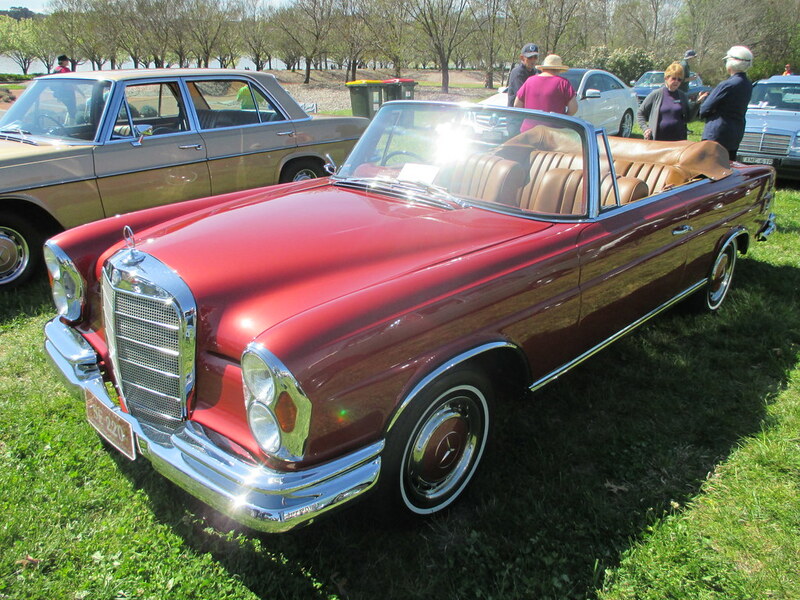 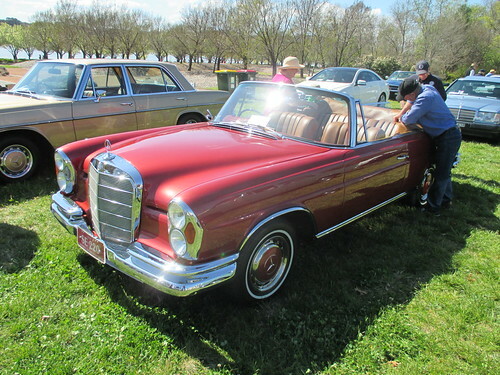 It was a lovely day to drive a convertible down to Canberra and as usual the 250SE performed very well. 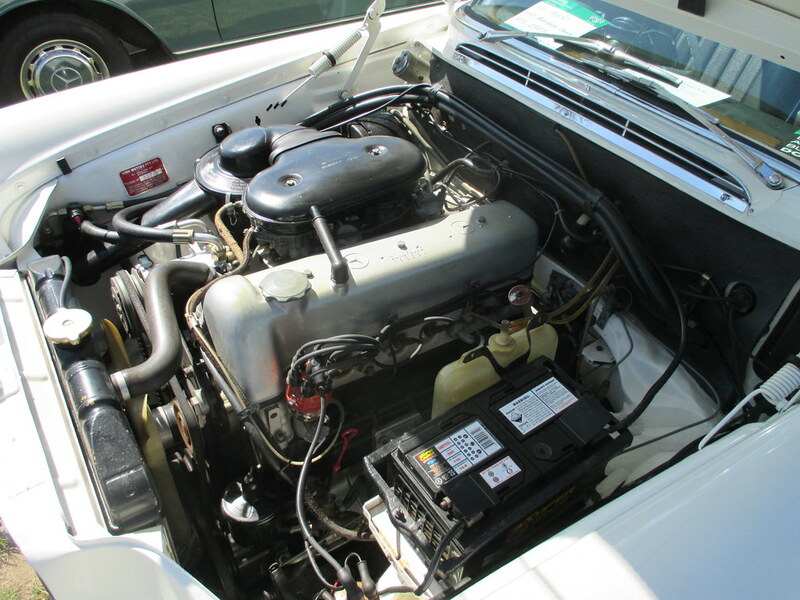 At freeway speeds the engine turns at 4,000 RPM, which is unusual for a modern car, but fits into the nature of the engine. 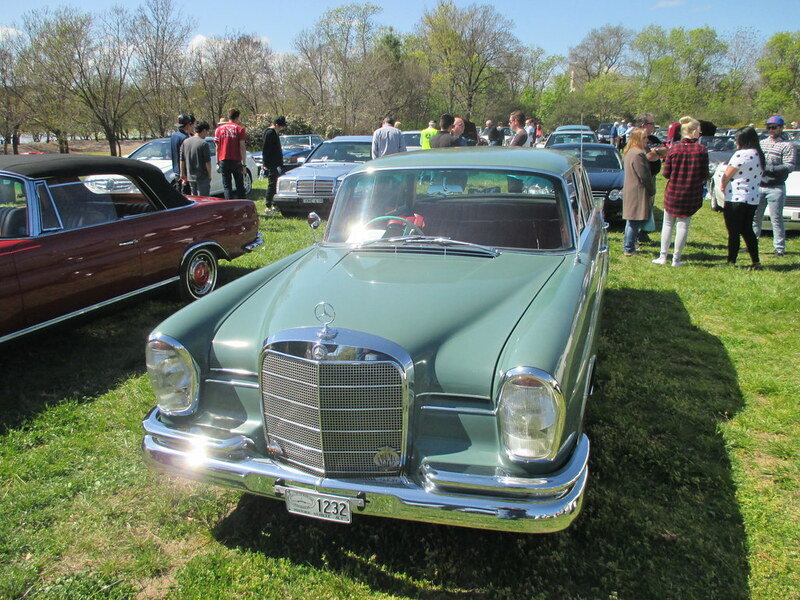 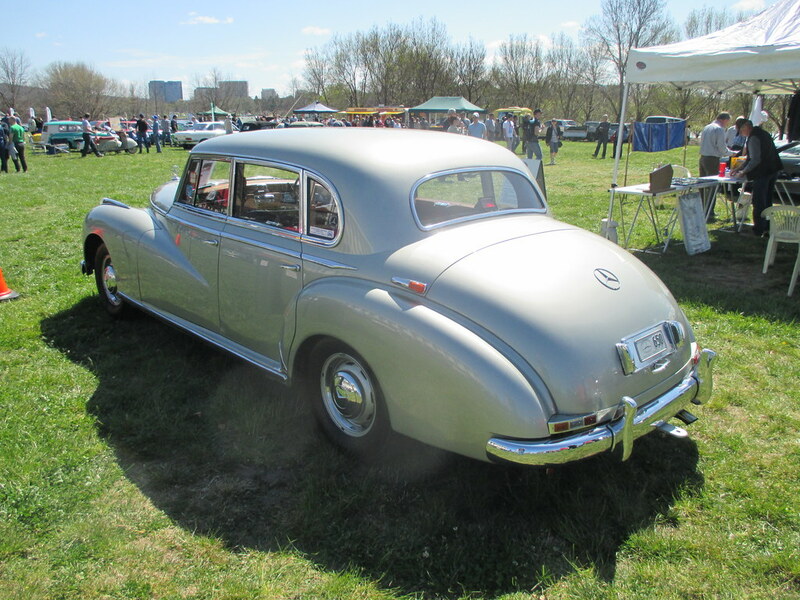 The show was worth the visit with a large Mercedes-Benz section, BMWs, Borgwards, NSUs, Goggomobile and VWs. 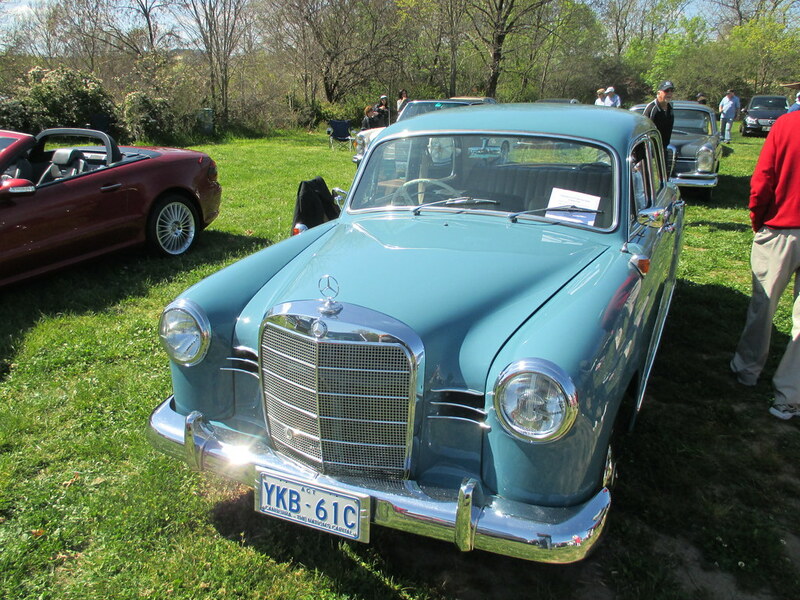 I didnt’ get time to go through the VW section, but was able to see some of the other brands as well as Mercedes. 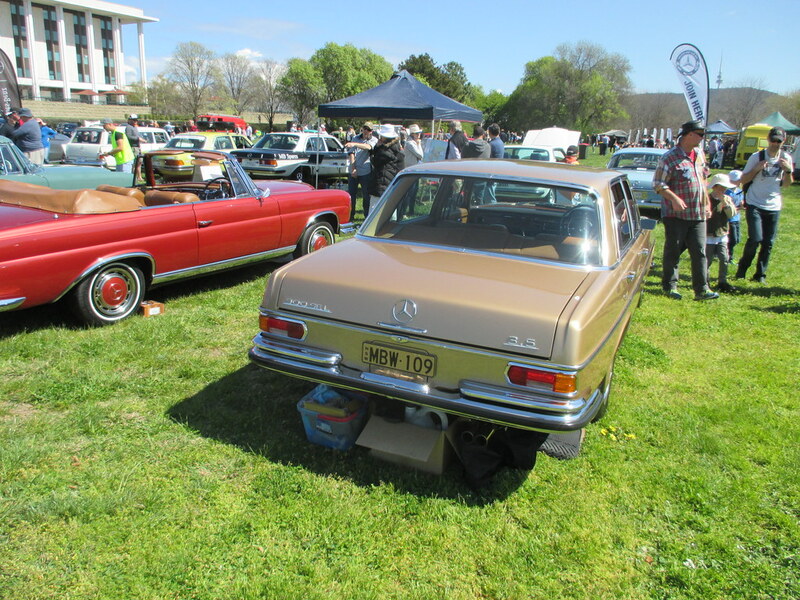 The pick of the show for me was the ‘show within a show’ from MB Spares, a well known Mercedes restorer and parts supplier in the ACT. 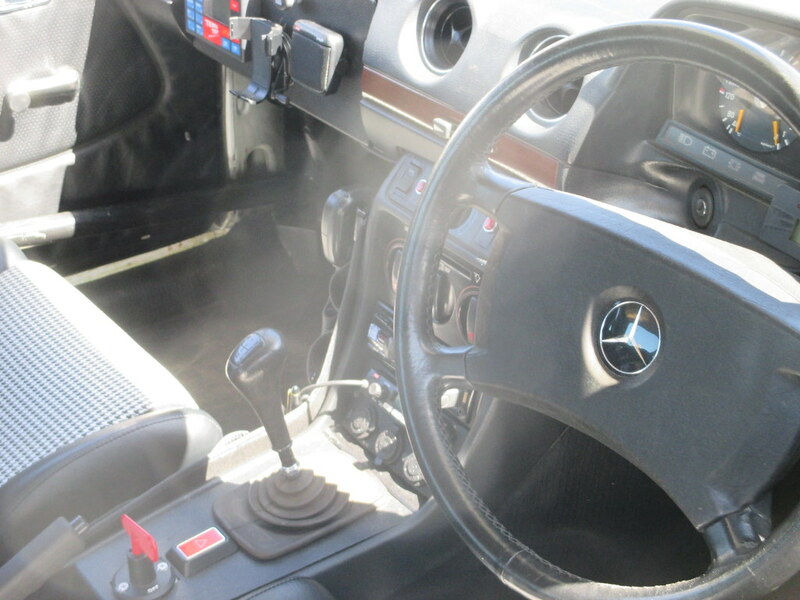 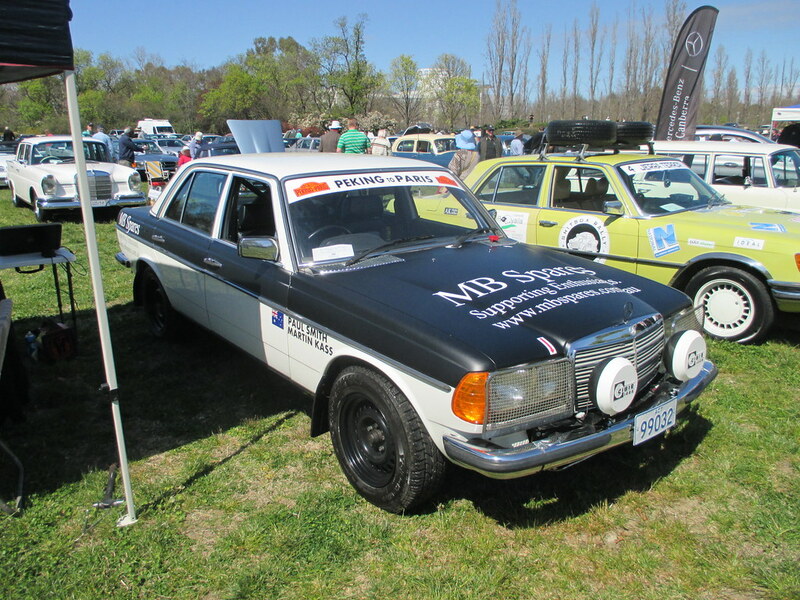 They had a few of their own cars, including a lovely 280SE coupe with pretty much all options available, a 300, and some of the cars they have worked with their customers on, including the 280CE with the 5.0 engine, and the 280E rally car that will be competing in the London to Sydney rally – which was won by the 280E back in the late 70s. 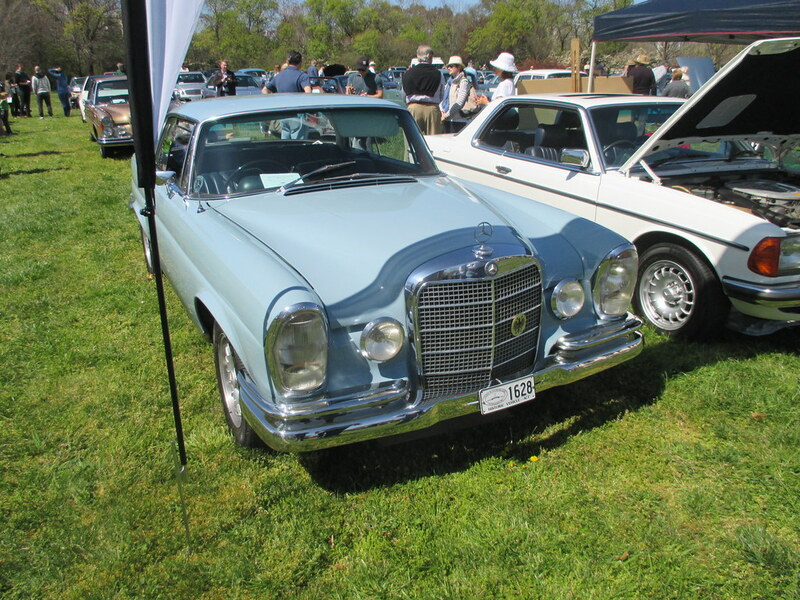 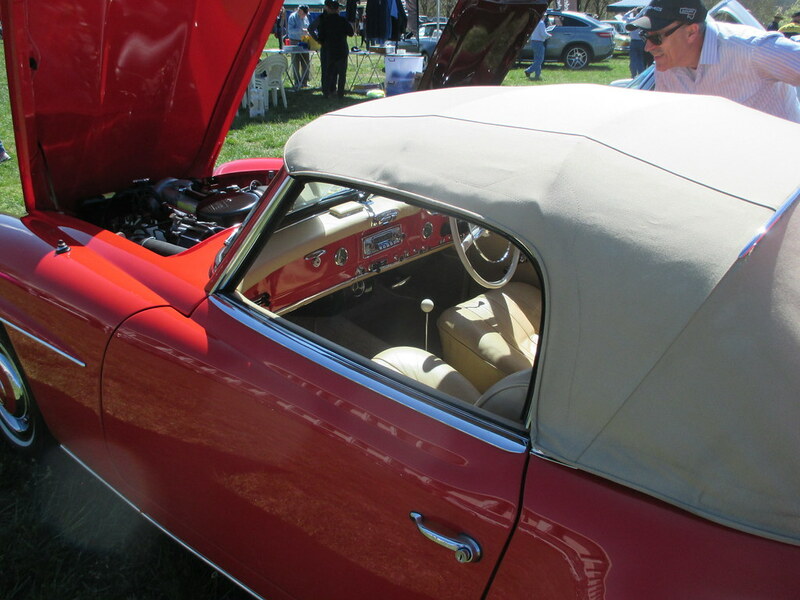 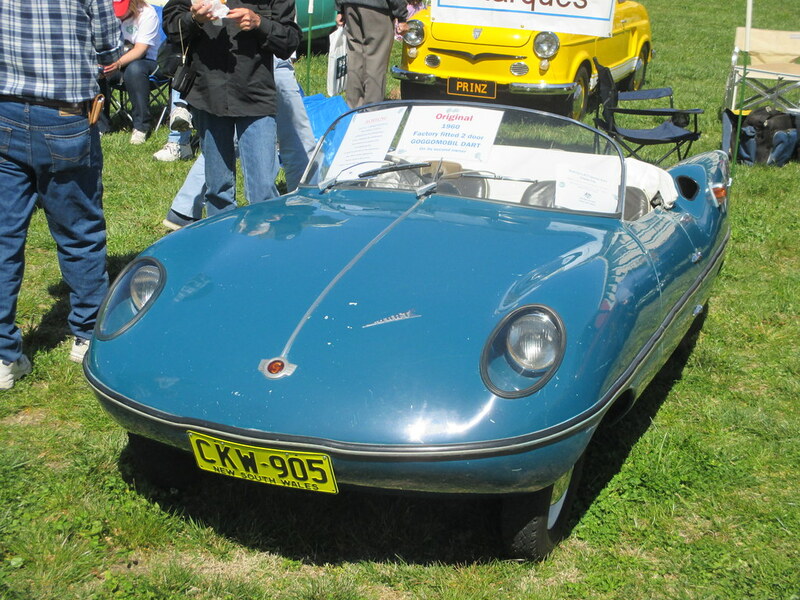 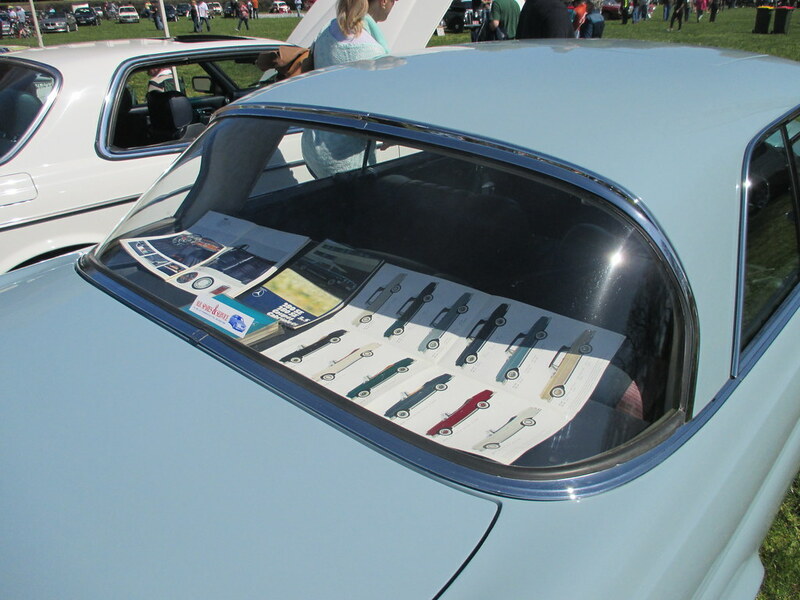 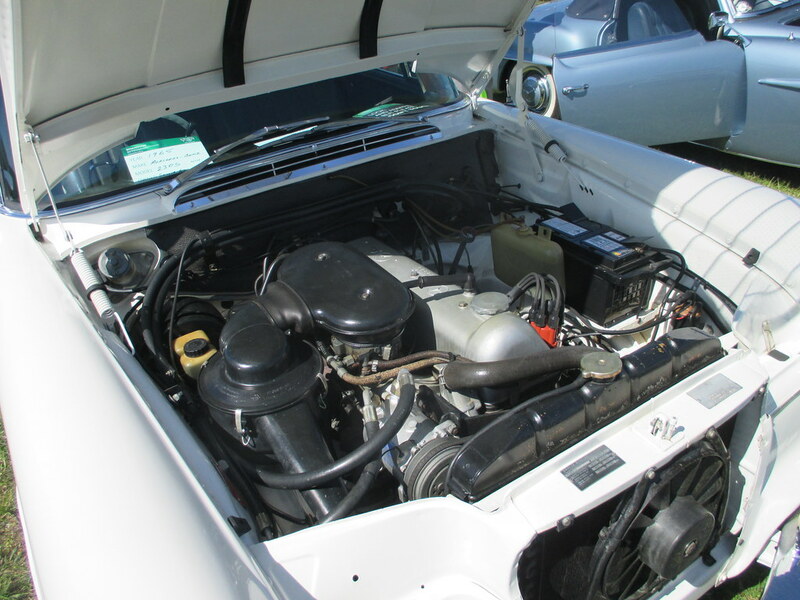 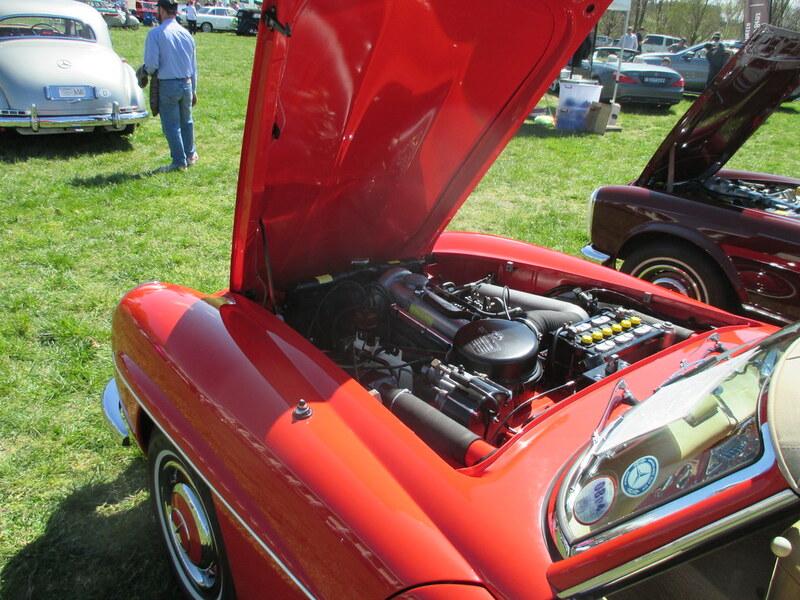 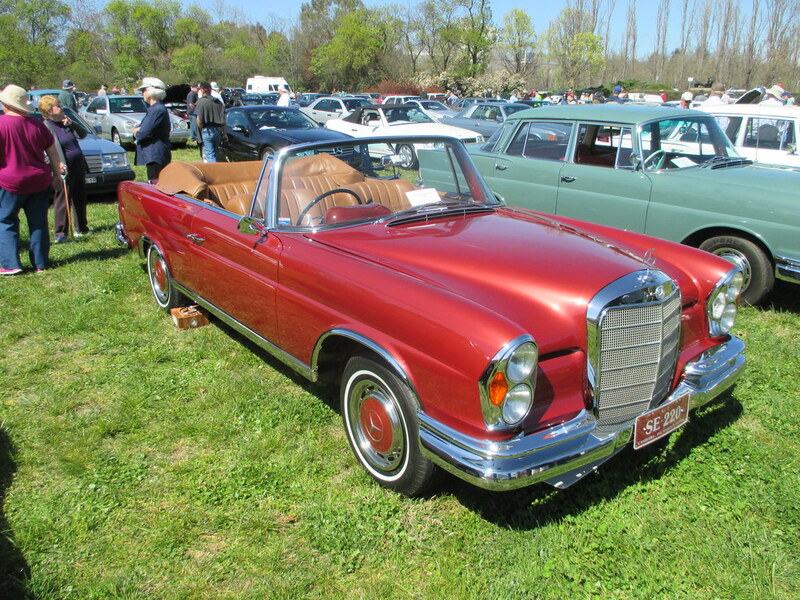 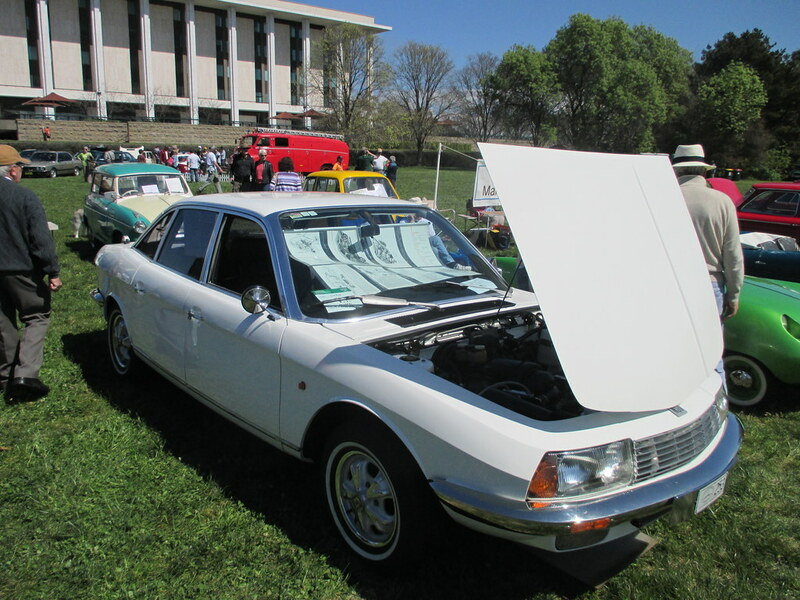 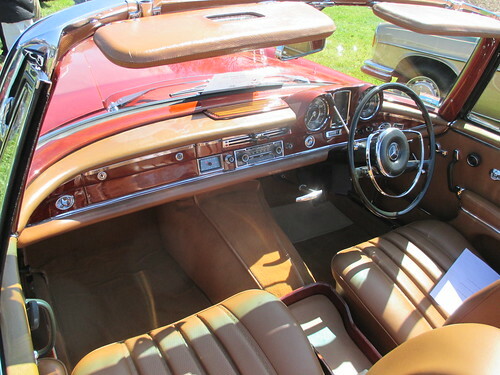 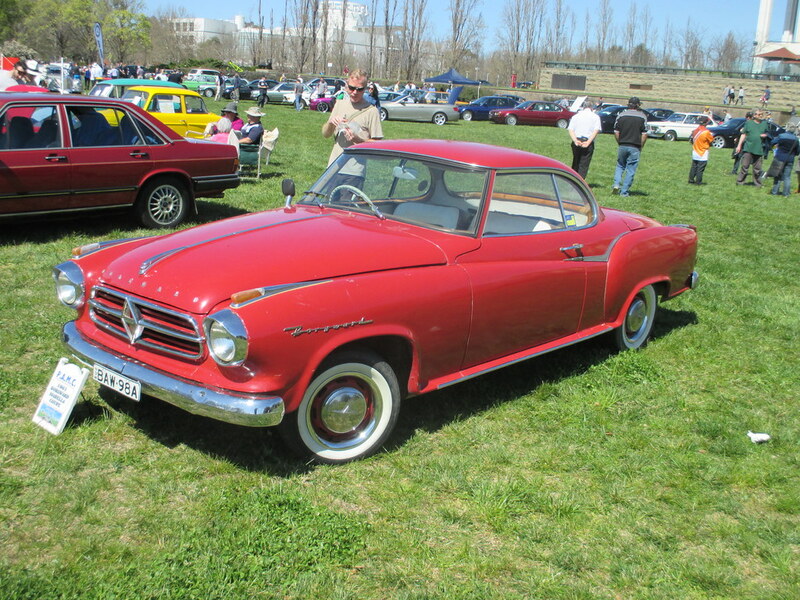 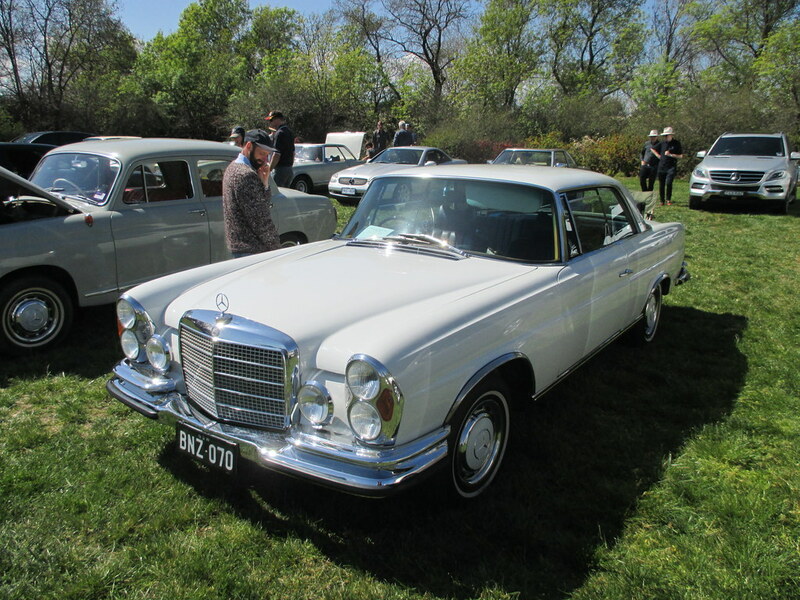 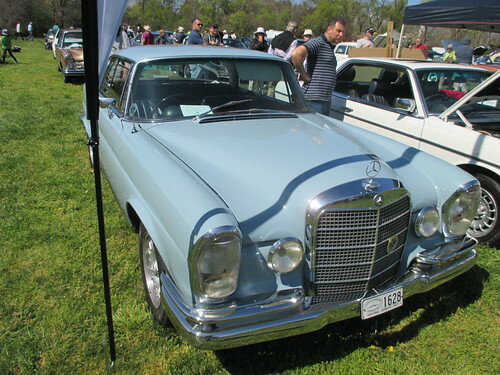 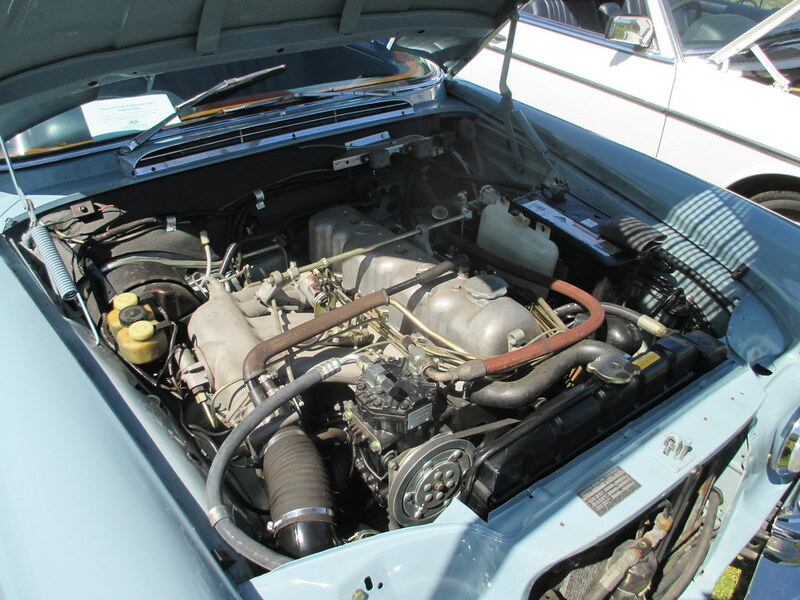 There were three other W111 Coupe/Cabriolet. 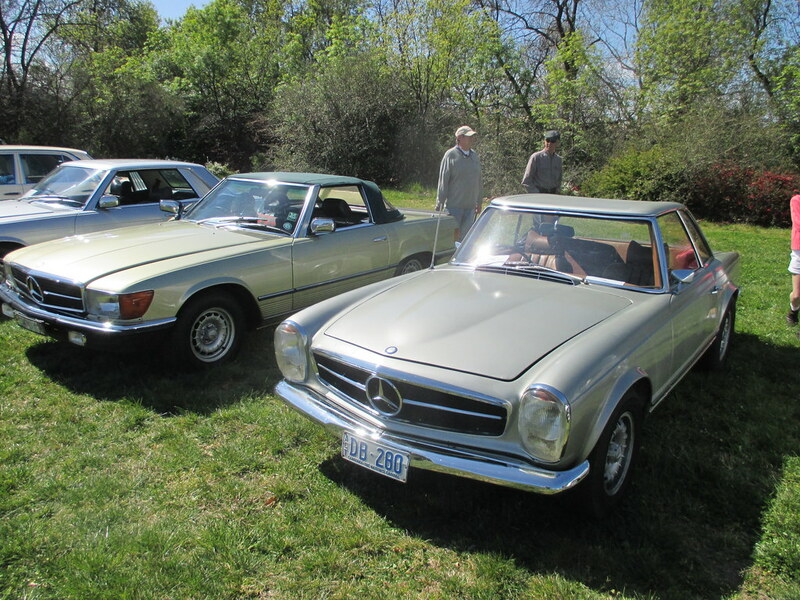 The 280SE mentioned above, a 220SE Cabriolet and a 280SE 3.5 coupe. 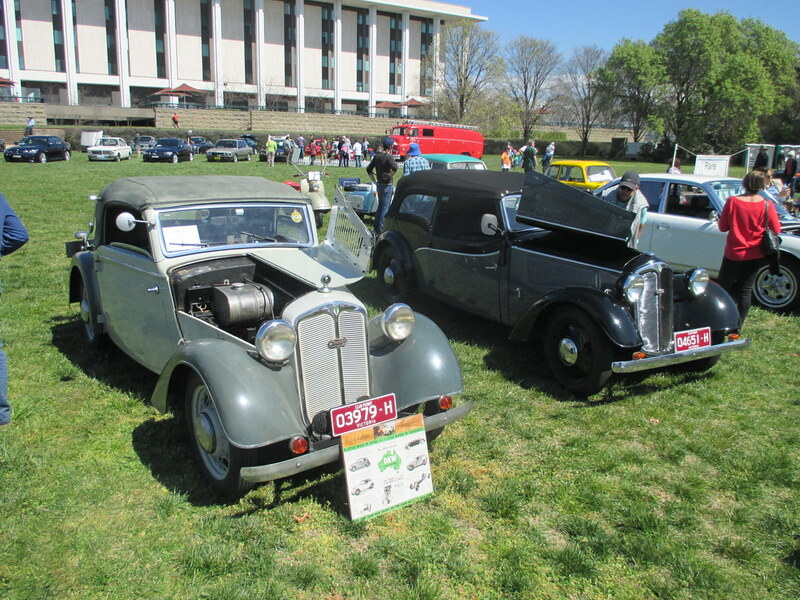 In addition, there is a nice his and hers Ponton/Roundie display with a custom ute and a lovely sedan both in the same colour.